 In the section the assortment of different LED modules intended for self-assembly of LED phytolamps for various purposes is presented. 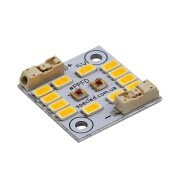 To simplify the manual assembly of the grow lamp as much as possible, many LED modules are equipped with PCB-type connectors for connecting wires to the board and connecting modules without a soldering. 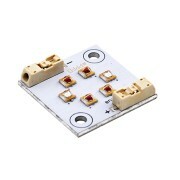 Modules are completely designed and assembled by SpecLED. Mostly only the best LEDs were used. Such as Samsung LM561C, Semileds 660nm and 440nm, Cree XP-E HE 670nm, 450nm, Cree MHB-B, Epistar 3535 and other. A series of Square modules is designed in such a way that it allows maximally expand all possible combinations in terms of spectrum and power of radiation. This makes it possible to use modules for assembling by oneself not only the growlamp led but also the lamps for aquariums, automobile lamps and LED lighting fixtures for household and industrial purposes. Ideal solution for stealth growbox. 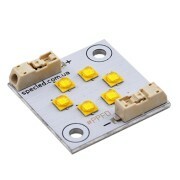 And the ease of installation and connection will make it possible to assemble the LED lamp even for a beginner! As a source of stabilized current, it is proposed to use a DC / DC 60W LED driver based on the LM3414HV chip. The operating voltage range is 5-65V. It is possible to control the brightness of the connected PWM LEDs by a signal (dimming). 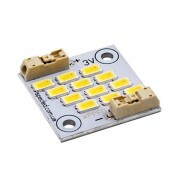 LED modules for plants to buy with a wavelength of 730 nm, 660 nm, 440 nm and others can be with us, having issued an order through the shopping cart or by calling these phones. 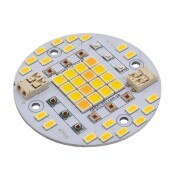 LED for plants and domestic use There are 7 products.